For the last four weeks, we’ve been talking about entrepreneurship on In The Wings. From a beer brewing startup, to a nonprofit supporting soon-to-be entrepreneurs, to an artist making a go of it by painting athletic shoes — we’ve met several kinds of business people making a living in Milwaukee. Adonica Randall. Photo via Marquette website. 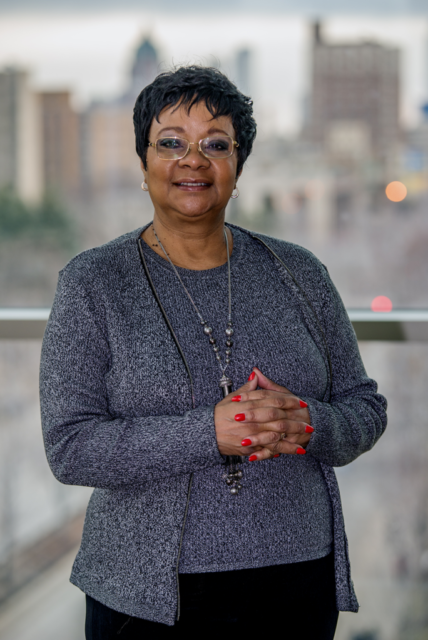 Adonica Randall runs her own company, an IT solutions firm, and has taught in the university setting for more than 20 years. Now, she is combining those skills in her role with Marquette. Randall is a Marquette alum herself, a graduate of the biomedical engineering master’s program. She earned her master’s degree in 1979 and was among the second graduating class at Marquette, when the biomed program was in its infancy. Prior to that, she earned her bachelor’s degree in engineering from the University of Missouri where she studied computer science. As part of her position at Marquette, she works closely with faculty to rethink the way entrepreneurs are being prepped for careers in the field. Click the player below to hear her thoughts on how business and engineering are colliding in today’s changing economy. In addition, Randall has a unique viewpoint on entrepreneurship, having both an education and startup background. She says a college experience, for some, is invaluable. But for others, it may not be the end-all-be-all that was accepted as the norm in America for the last century or so. Listen to her interesting take on the topic in the “web extra” below. For more stories from our In The Wings series, click the tiles at the bottom of this page.